"Do I look like Mr. Universe?" 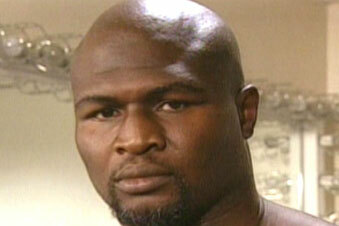 VAN NUYS, Calif. (May 11, 2005) – James Toney has fought many fights in his career, but the one apparently facing him now is one that disturbs and revolts him like no other opponent could ever do. "Being accused of taking performance enhancing substances is an insult to me. I don't do drugs period," Toney stated. "I've never used any illegal substances to prepare myself for a fight." Toney's body doesn't reflect a fighter taking mass muscle substances, nor would anyone in their right mind be taking any banned substances, while knowingly and willingly giving urine samples. Toney's weight loss was substantial from the day the fight was announced to the event, totally inconsistent with the signs of an athlete using substances to add muscle mass. "Toney received medical treatment for recovery from his biceps and triceps surgery last year. His doctor has stated that the combination of medications used to control the inflammation and tissue growth caused the positive test result," stated Dan Goossen, Toney's promoter. "This is further supported, since the body, in combination with the medications, naturally create the form of substance ("Nandrolone") reflected in the test results." Goossen further stated, "It would be unjust for the sport to reprimand a fighter who was under a doctor's care and direction many months before in healing a career threatening injury."